Hello there! It looks like you’re building an Internet based start-up company! Can I help? I see you’re wearing a hoodie, despite the fact you’ve just come back from a meeting with your bank manager. Clearly you’re the sort of freethinking, maverick individual who wants an office that’s quirky, unique, something that really expresses the fun, out of the box ethos of your business. The trouble is, a lot of the things Internet start-ups do to show how quirky and individual they have now themselves becomes tired clichés. Fortunately, we’re here to give you a few tips to really push the envelope in terms of creating a free-thinking, creative environment. You remember when you were a kid and your parents told you that you couldn’t ride your scooter around indoors? Well IN YOUR FACE MUM AND DAD! Now I’m going to ride my scooter around at work and there’s nothing you can do about it! 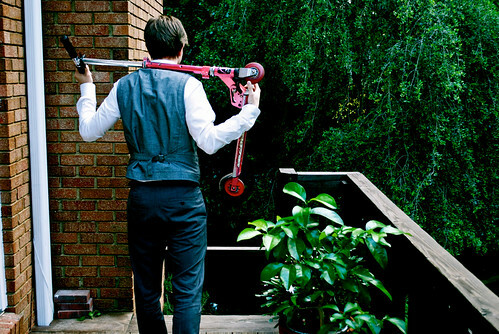 Riding scooters or skateboards around the office space is a habit enjoyed by employees of Pixar, Google, Mashable and even the Washington Post. I didn’t even think of the Washington Post as that outside the box, but there you go. 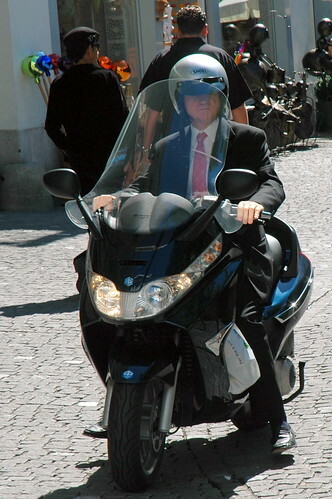 Before too long carrying a razor scooter around with you will be considered part of the new office casual. That’s right. Think less “12 year old” and more “Mod”. Rev those engines, do donuts by the photocopier, pull wheelies by the water cooler. Now don’t get me wrong – with high speed, motorised vehicles driving around an enclosed office space, there will be fatalities, and that’s even before we take into account how much damage all those exhaust fumes are going to do to people’s lungs. But I think you’ll find that constantly having to dodge speeding vehicles on your way to the tea cupboard will result in a level of adrenalin you just don’t find in other office jobs. 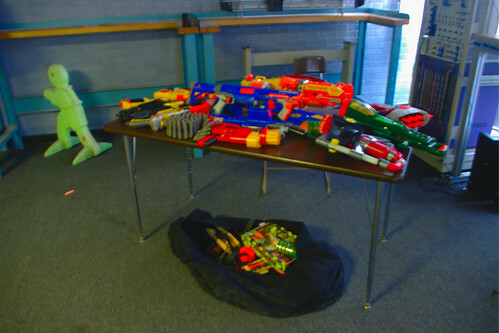 NERF guns! How whacky is that?! It’s the perfect way to release some tension in a high powered office environment. Whether you prefer the N-Strike Stampede, the Longstrike Dart Launcher, the mighty fire power of the Vulcan, or the trusty stand-by that is the Maverick, N-E-R-F spells FUN (Yes, I know too much about NERF guns, not enough about spelling). NERF guns! Pah! More like Nerd Guns! If you really want to unleash some tension, respect your employees’ Second Amendment rights, regardless of whether you work in the USA! You’ll find meetings become way more energised when they can dissolve into a Mexican stand-off at any point. Weeeeeeee! Who wants to use boring lifts and boring stairs when you can literally helter-skelter your way out of the office! Not LIST OF NAMES, that’s for sure! 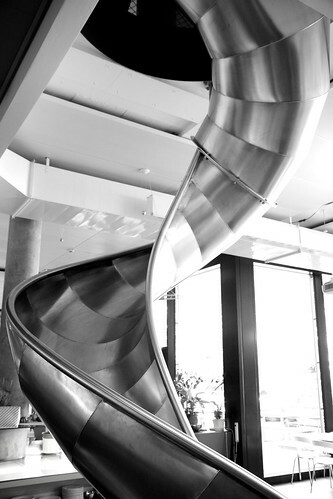 Each and every one of those companies has a slide somewhere in their office building. 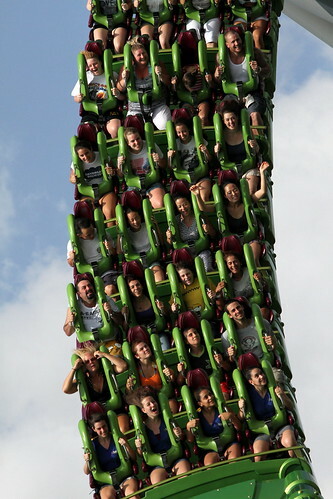 It’s simple, strap all the laptops to roller-coaster cars, make sure they’re really secure, then once everyone turns up at work at 9am, set it off. Let it go round and round and round again until 5pm. 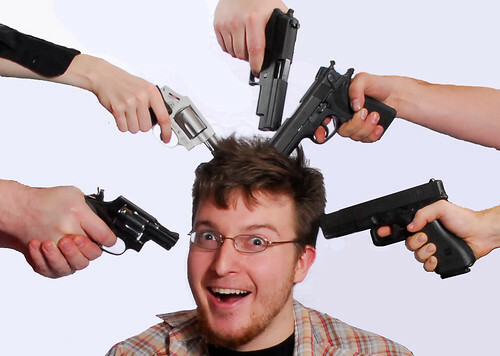 Once everyone’s got used to the centrifugal force forcing all the blood to their heads, you can be sure that the ideas are going to start flowing just as quickly. Note: You may want to make sure that everyone is getting to work by public transport, as driving home after eight hours on a high speed rollercoaster probably isn’t a great idea. What a great way to unwind? 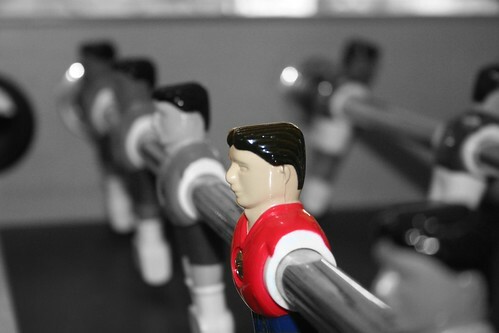 Have a table football game IN THE OFFICE! Zany! Full disclosure: I’ve actually worked in a table football office. And although personally I’m quite partial to a game of table football the truth is that in my time working at that company I never once went anywhere near that table. Didn’t happen. Why? Because the table football was within the direct line of sight of the boss’s office, and if you wanted to slack off it was far better to read funny list articles on the Internet. At least nobody could tell you were doing that. Table football sounds great on paper, but in reality your boss knows that when you’re playing best out of five on there, you’re not making any more for his company, and making money for his company is what it’s all about. So ditch the table football and replace it with a roulette table. 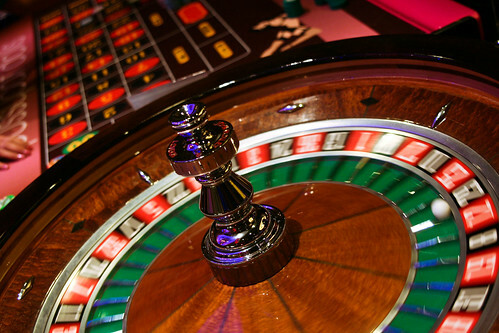 Roulette teaches you all sorts of practical skills that will come in useful in a business environment, but which we so often fail to teach employees in creative jobs; risk assessment, money management, how to look good drinking a martini (this roulette table would also come with its own mixologist). However, the employee who can’t master those skills will be feeding money back into the company, so everybody wins! By everybody, I of course mean the company. Chris Farnell is a freelance writer who doesn’t work in a cool office, because works from home for companies such as Advertising Jobs.